High-frequency trading is a new trading mechanism that, unregulated, poses a danger to healthy markets. Technology has allowed financial markets to act more efficiently than ever before. However, there are new risks that must be taken into account. High-frequency trading , a form of algorithmic trading that uses high speeds, powerful computers, frequent turnover and rapid trades, to exploit small mispricings and arbitrages in financial markets across the world. 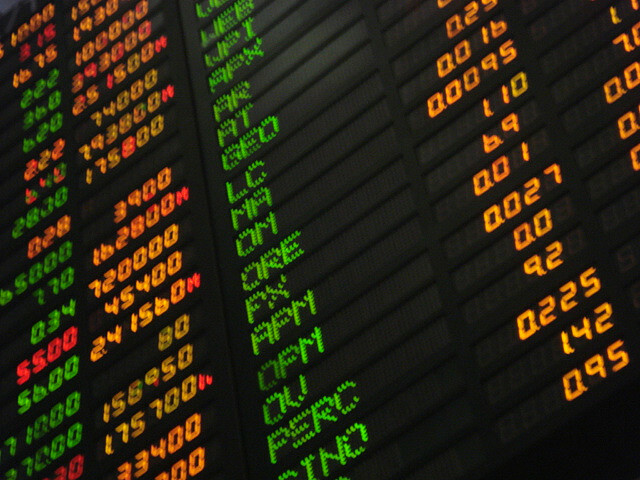 Using very powerful and complicated algorithms and by co-locating near execution centers such as stock exchanges, HFT firms execute trades in less than milliseconds. Shaving even fractions of a millisecond of a trade has the potential to get ahead of competitors, and has driven firms to reduce latency between transmission of a trade and its confirmation. Trading algorithms can range from simple to complex. Simple ones involve arbitrage; exploiting differences in pricing of stocks from their true, intrinsic value. Others algorithms are designed to hurt the competition such as programs that analyze rival trades and trade speed to undercut them. One such strategy is spoofing, where firms make deceitful and fake trades aimed at influencing rivals. Even though spoofing is highly illegal and is enforced by the Dodd-Frank Act, it is often hard to prove due to the speed and complication of the algorithms. It took over 5 years to bring charges against Navinder Singh Sarao, the trader responsible for the 2010 Flash Crash. The success of HFT firms shows that there is massive potential for disrupting traditional forms of trading. Websites such as Quantopian give retail users the tools to create their own successful algorithms. This form of crowd-sourcing has the potential to let investors truly make their own custom investment choices. However, the dark side to this freedom is that markets could become much harder to regulate. Furthermore, individuals with faulty, but powerful, algorithms have much greater potential to cause market crashes and dislocations. When an algorithm fails, it can lead to massive crashes often due to simple glitches or typos. One famous incident was in 2012 when a program created by Knight Capital Group lost $440 million. Defective code was left in an untested program and the program bought shares at market prices repeatedly. Each stock has a different bid and ask price, which refer to the price that shares are bought and sold at, with the ask price usually above the bid price. The difference is usually very small, but allows market-makers to profit off a small spread. The faulty algorithm bought shares at the offer price and sold at the bid price repeatedly; this small difference of a few cents multiplied exponentially. The high frequency of trades led to tremendous losses very quickly. Applying specific circuit breakers to algorithms that stop algorithms making suspect trades is a potential regulatory step. This would require further algorithms that monitor trades in the market. Firms can also do their part in testing algorithms more rigorously. Large firms such are not immune to these oversights; exemplified by an error at Goldman Sachs in 2013 that led to a $100 million loss. Andrew Haldane, the executive director for financial stability at the Bank of England, suggested a tax on transactions that are canceled before execution. Regulators in the US have implemented circuit breakers to halt trading of stocks that move more than a certain percentage up or down; however, this oftentimes is triggered at the wrong times and halts legitimate trading. Even worse, the lack of liquidity that is created when these triggers catch sometimes cause even greater price decreases due to investor panic and confusion. The world of algorithmic trading and high-frequency trading requires more oversight if markets are to avoid preventable errors in code or design. However, predatory algorithms like spoofers are not only unethical but can lead to crashes as well. Regulating them is challenging, but necessary as technology saturates the financial sector. Germany implemented a regulatory policy in 2013 that makes firms tag their trading algorithms. This allows algorithms to be identified but there are naturally issues with monitoring so many transactions at once. Reports have found that this regulation has had positive effects in shifting the culture in the industry towards compliance. To ensure compliance with US trading laws and to reduce unfair trading advantages, the SEC has worked with different exchanges around the country to enforce speed limits on trades, and create less-intrusive switch breakers that can preempt trading glitches and avoid market dislocations. These laws are still being tested and have many flaws, as traders are able to quickly alter their algorithms to sidestep any legislation. However, by working with trading houses and exchanges, the SEC is able to enact and enforce much more tenacious regulation than ever before.